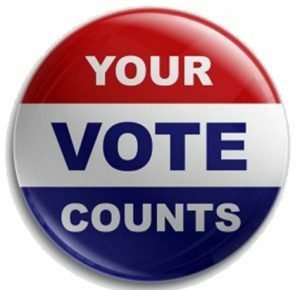 FoFF Ballot Measure Endorsements 2018! The next election is coming up on Tuesday, November 6, 2018 with vote-by-mail beginning in October. This year, Friends of Family Farmers has taken positions on three key ballot measures, two statewide and one in Portland. We have provided information on our positions below, and encourage you to vote in the November election and get involved. Ballot Measure 103 is a proposed amendment to Oregon’s Constitution aimed at prohibiting taxes on groceries. But it’s not that simple. Measure 103 comes to us from the grocery industry lobby, which includes huge out-of-state companies like Walmart, Costco, and Kroger. These companies originally set out to block local initiatives against taxes on sugary drinks, but are now trying to lock their low corporate tax rates into Oregon’s Constitution so they can’t ever be changed. But rather than telling voters this, they are pretending there’s a threat of taxes on farmers markets and farm stands to convince voters to support Measure 103. This is incredibly misleading in a state with no sales tax, and the Measure 103 campaign is trying to put farmers’ faces on a measure that would really protect big grocery outlets. Further, Measure 103 is written very broadly and has a wide range of unknown and risky consequences for state funding and tax rates on farms vs. other types of corporations that would be enshrined into the State Constitution. Measure 103 would actually prevent state and local governments from lowering certain taxes and fees for small and mid-sized family farmers who pay higher tax rates than our corporate competitors as it is. Because Measure 103 is so misleading, and would amend Oregon’s Constitution to permanently lock-in tax exemptions for out-of-state corporations and mega-grocers while claiming to support local farmers, Friends of Family Farmers has joined a coalition of over 175 organizations, small farmers, businesses and community leaders from around the state to oppose Measure 103. Learn more about Measure 103 and add your voice to the growing opposition here. Vote No on Measure 103! Ballot Measure 105 would throw out Oregon’s long-standing anti-racial profiling law, which passed more than 30 years ago with broad bipartisan support. The agenda behind Measure 105 appears to be to encourage the use of scarce local law enforcement resources to enforce harsh, new federal immigration policies and create fear among immigrants and people of color in Oregon. Indeed, the groups behind Measure 105 have been designated as anti-immigrant hate groups by the Southern Poverty Law Center. Under Measure 105, local police could stop, detain, or interrogate someone simply because they suspect them to be an undocumented immigrant. This could open the door to serious civil rights violations and more racial profiling of Oregonians. Local police could be asked to use personnel, funds, equipment, and facilities to locate, arrest, and jail people based solely on suspicions about their immigration status. Law abiding immigrants could live in fear of the police and may not report crimes, seek help if they have been victimized, or provide information to the police to help solve cases, for fear that doing so could lead to arrest, deportation, or separation from their families. And it is the case that many farmers in Oregon – including smaller and labor-intensive organic operations – employ workers both seasonally and year round who are immigrants and people of color who would be negatively impacted by Measure 105. Regardless of their immigration status, our communities, co-workers, and employees should not have to live in fear in Oregon. For these reasons, Friends of Family Farmers has joined a coalition of over 100 organizations, community groups and businesses opposing Measure 105 because we support the rights of all people in our communities, regardless of their race or national origin. 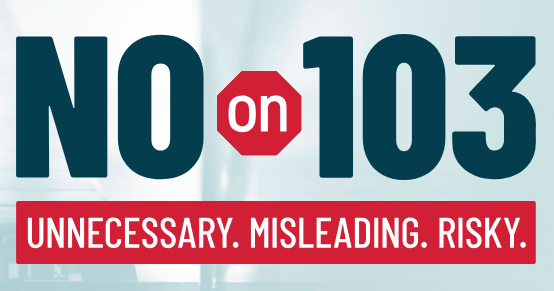 Learn more about Measure 105 and find out how you can get involved in stopping it here. 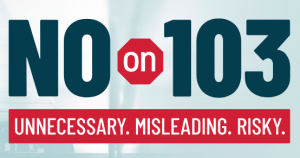 Vote No on Measure 105! The Portland Clean Energy Fund is a city initiative that would create a new a tax on the largest retailers in Portland that would, among other actions to address climate change, provide approximately $4 million annually for “regenerative agriculture and green infrastructure projects that result in sequestration of greenhouse gasses and support sustainable local food production.” In addition to being endorsed by Friends of Family Farmers Measure 26-201 is also being supported by the Portland Area Community Supported Agriculture Coalition and the Oregon Food Bank, as well as a number of Portland area farms. More information on Measure 26-201 and a full list of endorsing organizations and businesses can be found here. In addition to taking proactive steps to address climate change, the measure would provide a new source of funding for good projects that promote local food and regenerative agriculture. Portlanders should Vote YES on Measure 26-201!